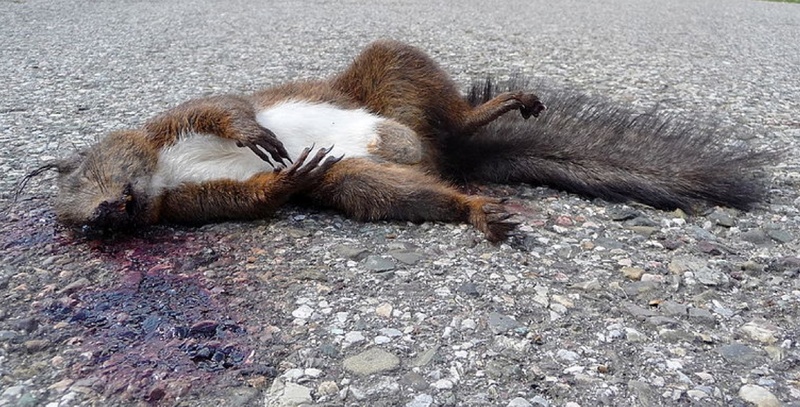 “…a squirrel dying in your front yard may be more relevant to your interests right now than people dying in Africa.” — Mark Zuckerberg, cited in the New York Times, When the internet thinks it knows you. It used to be that media moguls would set an editorial agenda based on what they thought would sell papers. Well. They still do. It’s just a dying method for presenting an audience with ‘news’ via media. That’s what news is. It’s how media works. The traditional broadcast media functions with an editorial agenda and a business agenda built on providing content that is relevant and of interest to its audience. It’s kind of our fault if these businesses choose not to show us shocking and harrowing things from across the globe, but tend to spend more time on dead squirrel issues, or even cute warm fuzzies if you watch The Project. We get the media we deserve. Now, our media consumption is shaped by the people we connect to, and sources we allow, but more subliminally, its shaped by algorithms designed to give us exactly what it appears we want based on our habits. The internet as we know and experience it is built on our desires and our curated network of relationships. The platforms we use online make their money by matching up our desires with solutions, or content. These algorithms are coded to care about, or present to us, what they calculate matters to us in an immediate attention-hooking way, rather than what might be said to matter objectively. This filter bubble means we’re likely to be served things that engage our emotions, or even outrage us, based on how an algorithm understands who we are. The filter bubble means we’re unlikely to be confronted with all the things that matter objectively, or even subjectively to others, if they compete with the subjective things that matter to us. Or as Mark Zuckerberg, Facebook’s founder, put it when describing how Facebook decides what to put in your newsfeed (see above)… dead squirrels. The media is like a mirror being held up to the things we care about. The media, including social media, plays a part in determining what we get outraged about, and now, also, where we get outraged about it. This filter bubble raises a question about our moral culpability for attention, or inattention, are we really to blame for being outraged at the wrong thing if the thing we’re predisposed seeing is not X or Y, dead lions, or dead babies, but dead squirrels? What is our responsibility, as online citizens, if we’re aware of X and Y, when the default setting is ignorance? It’s interesting how the question of attention, and default settings features in David Foster Wallace’s famous insights from This Is Water, a speech in which he is arguably extrapolating from and applying Iris Murdoch’s system of virtuous loving attention… He suggests our ignorance is the product of our decision to worship some thing, to give it our attention, and often that thing is our self. I’m interested too, in the idea of being morally culpable for not knowing, or not being outraged — for not paying attention — to something beyond whatever else we do know about or are outraged about. Is it immoral to only care about a dead squirrel when there are lions and babies out there? Is it immoral to care about a lion, if you’re unaware of the babies? If we know about the babies, and know that most people only know about squirrels, is it immoral not to raise people’s attention via our own outrage? Are we culpable for never moving beyond the default settings? For not looking beyond our backyard, and paying attention to those in our neighbourhood, or around the globe? Where do we draw a line? Karen Swallow Prior wrote this helpful opinion piece, Is Cecil the lion more devastating than the Planned Parenthood videos?, for the Washington Post, asking this sort of question about the relationship between ignorance and culpability. She particularly emphasised wilful ignorance, but what about algorithmic or default ignorance? On social media, many have connected the two stories through mutual finger-pointing at the perceived lack of outrage for one story or the other. But there is a stronger connection between the two events. …So perhaps the more important question is, when does one become morally culpable for ignorance? … We readily accept that with knowledge comes responsibility. But both the Planned Parenthood and the lion slaying controversies show that at some point, even our willful ignorance confers the weight of moral responsibility. How do ignorance, and the alternative, loving attention, work in terms of morality and ethics in a new media world? Do we need to deliberately seek knowledge, seek to pay attention to things, beyond a dead squirrel to be acting with virtue? Our eyes have the capacity to be more globally connected than ever before thanks to the Internet, but our hearts and minds are still as self-interested as ever. Does outrage serve some sort of ethical purpose in that it forces us, and others, to pay attention to things beyond ourselves, or is it simply an expression of selfishness, a knee-jerk defence when something attacks what we hold to be sacred, what we have chosen to worship with our attention? Outrage seems to be one of the natural responses to paying attention to the disorder in our world. Just what can we give our attention to? Just how much attention do we have to go around?